I started my trial of Fences today with hope that I'd buy the full version, if I like it. 1. 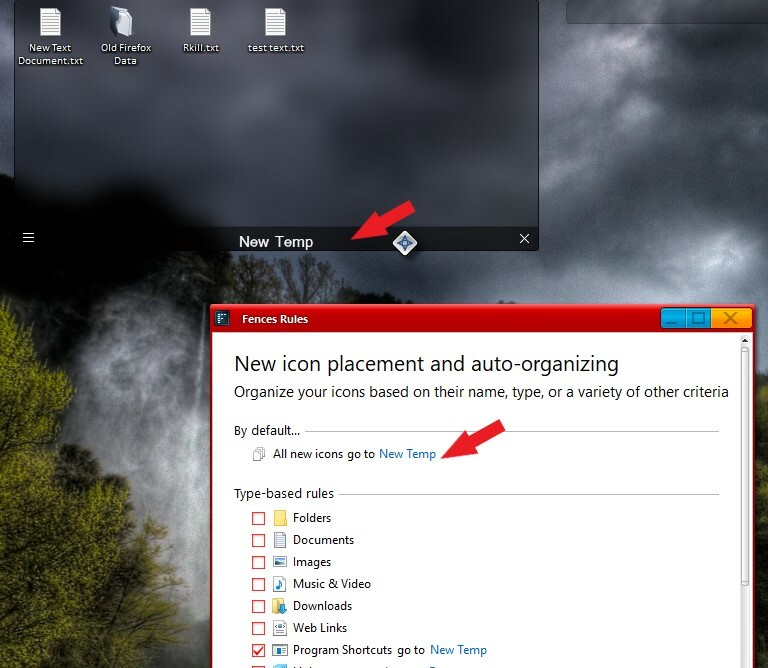 When I refresh my desktop (F5 or select Refresh from context menu), my desktop icons disappear, nothing responds for 20-30 seconds, if you click on anything, explorer crashes, and then I get my icons back refreshed but Fences crashed and turned off. 2. 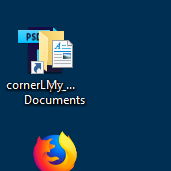 When creating/saving/downloading a new file to the desktop, the file jumps behind another icon, making me move one icon to get to the other behind it. Looks like an icon organizing issue. These two are major problems could impact my decision of buying Fences, if not fixed. 1) What is Windows version installed? i.e Windows 10 V1809? 2) What Fences version installed? i.e Fences V3.0.9.11? 3) Do you have dual or more monitors attached? If you do please specify monitor resolution and scaling applied 100%? 150%? etc etc. 4) Do you have Websense, Forcepoint or something similar in the system. Hi Basj, thanks for the quick reply! 3. I have 2 monitors attached, both 1920x1080, Scale 100%, One is a regular monitor, the other is Wacom Cintiq for on-screen drawing. 4. I don't have that, the closest I have is TotalAV antivirus. Thanks for the information. Another question. Is the problem appear on both monitor or only one one of the monitor? download the latest version from your account and reinstall that one. Please make sure to reboot before and after the installation. The forum limited my response writing due to being a new user. Right now I using a BIG workaround by putting a fence at the top of my desktop and telling Fences to put all the new icons there, that way they don't pop behind my other icons. As for the Refresh holds, what can I say... I'm refreshing my desktop less. With that said, I'd like to see a real solution to this soon. I'm uninterested to continue solving these problems of your software, over this forum for much longer. Either it doesn't create issues for my computer, or I'm not gonna buy it. To be honest, for this kind of idea, I'd be interested to pay much more than $10, but if it's going to bring issues to my computer, that hadn't been there before, then it's a deal breaker. Thanks for your help and I hope there is a solution! I'm having a very similar issue -- except 3 monitors, different resolutions. Downloaded icons end up randomly on two of the three monitors (primary and right flank). No rhyme or reason as to why. And often they end up overlapped like your screenshots show. I noticed something weird while troubleshooting: if I uncheck "Enable Fences" in the settings, the vertical spacing between all my desktop icons shifts slightly. So all except the top row will move somewhat up or down. When Fences is enabled, there is not enough room for where the bottom-most row of icons should be. It's really screwy. Note: I've disabled literally all other settings in Fences in an attempt to fix this frustrating problem. Anyway, I hope that info helps. I solved this problem by sending all new icons to a "temp fences". You can set Fences to do so by set it rules as below. This will make sure all your new icons will be inside a fence area and it will not get overlapped. You can than always moved that new icons to proper fences as you wish.